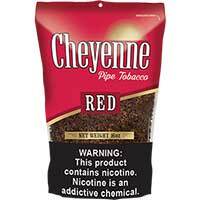 Cheyenne Pipe Tobacco is smooth, rich, flavorful and reasonably priced. You can buy a bag at Discount Little Cigars at an incredibly low price. Cheyenne pipe tobacco offers smokers the perfect American blend that delivers rich, aromatic and smooth tobacco together with a refreshing flavor. 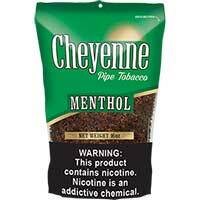 If you want something aromatic and minty, try out Cheyenne Menthol. What sets Cheyenne Pipe Tobacco apart from other tobacco brands is it's incredibly smooth, rich and pleasant flavor that is available. 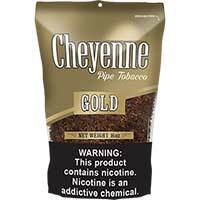 Cheyenne tobaccos are made from high end tobacco leaves that are cured and fermented to give you that extra smoothness. It comes in a variety of flavors, Cheyenne Red, Menthol, and Gold.